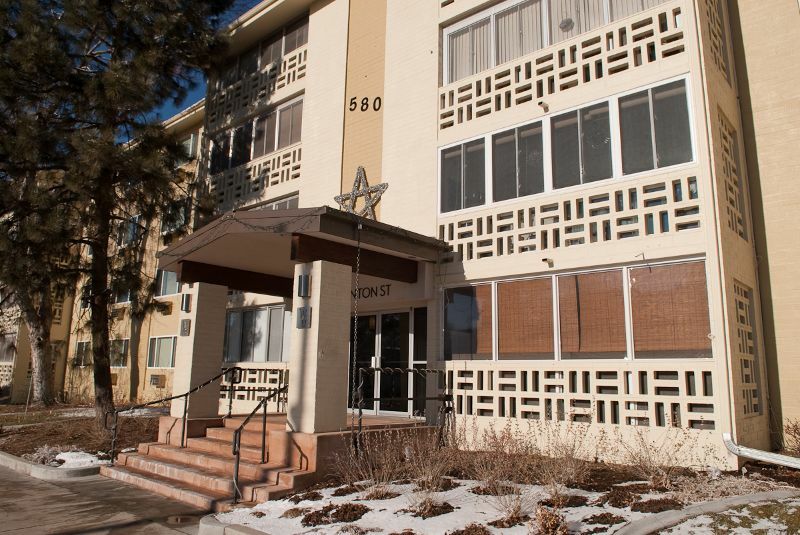 This turn key ready condo is located in one of Denver’s oldest and most pristine senior residential communities, Windsor Gardens. Lush and mature trees, a full service clubhouse and community center, pool, and golf course are just some of the conveniences you’ll enjoy, should you decide to make Windsor Gardens your new home. This unit is equipped with newer carpet and new windows and paint. Great Southern exposure and cross ventilation make this end unit condo light and bright!! The enclosed lanai/sun room is inviting and cozy. Located on the same floor as the laundry room and directly across the street from the Community Center, this unit’s location is highly desirable. Both the building and attached garage’s deeded parking space are secure. Elevator access and an open floor plan allow for handicap features to be added to the unit, if needed. Priced below market value at $81,500, this unit is ready for a quick sale!! If you have questions or would like to schedule a private showing, call Amy today! !